This is a bit strange for me, I haven't written a blog posts in months and months! I am so sorry about this; it is genuinely down to me not finding the time or coming up with any ideas. Before I sat down to write this, I looked back to the last post I uploaded which was my life update after finishing my GCSEs. I anxiously awaited the summer for the year and was pleased with most of my grades. 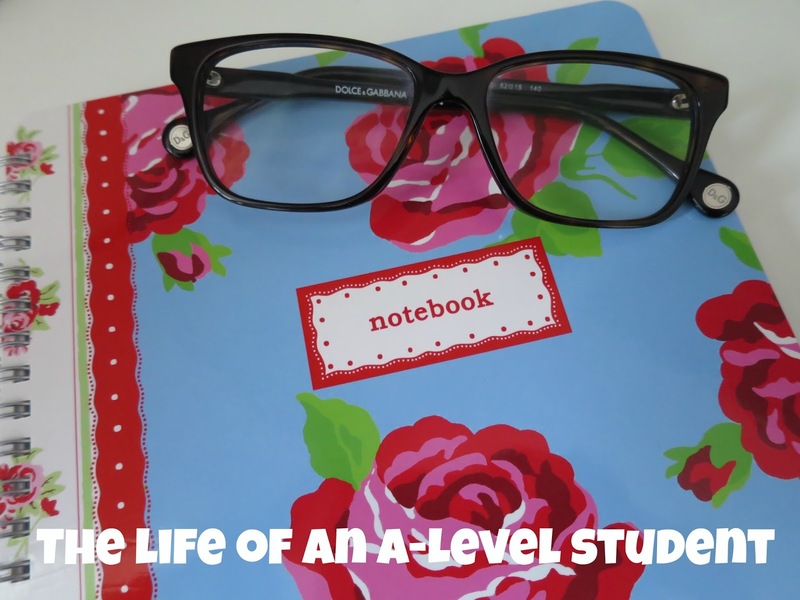 Now, having completed the first term of my A-Levels, I wanted to write about my initial thoughts and how well I settled into the change from Yr11 to Yr12. For my A-Levels I started out with 5 choices really but by the end of the first half term, I narrowed it down to 3. So initially I had timetabled: maths, further maths, physics, chemistry and french. However, on my my first day, I dropped further maths as I realised that 5 A-levels would be way too difficult to maintain. I studied chemistry for about 3 months but I didn't enjoy the subject content and the way it was being taught, after a lot of consideration, I dropped chemistry and narrowed down my subjects. Currently, I am taking french, maths and physics and am thoroughly enjoying them all. Some may think that this is a strange combination, especially the french, however in the future I am looking to study physics and hopefully study abroad for a year with that - hence the language. I've now completed a term of A-levels and am sitting mocks in my subjects. Lots of people told me that A-levels are a huge step up from GCSEs and truthfully, it hasn't been a massive jump in terms of difficulty of the subjects, yet (they'll get much harder as I go on), the jump for me has more prominent in terms of the different expectations of a student. You get so much more independence and if you don't want to put the effort in, your teachers will not spoon feed you. It's up to you to do well. Study periods become your best friends, I normally spend mine reading french books - I've been assigned ones to read but I always underestimate the amount of time it will actually take me to read even a page thoroughly! You're also expected to do lots of independent learning and reading around the subject - sometimes even things not on the specification, just to get a deeper understanding of the subject matter. I actually really like this independence and am so glad that you only do a few subjects so you spend your days in lessons that you are truly interested in. What I would change though about my first term is the amount of effort I put in outside of school, I did get a bit lazy towards the end. However, I am excited to start up again after my time off for Christmas. This year, I only have exams in maths as I don't have the opportunity to do As exams anymore and the maths course that I'm on separates its exams over two years anyway. So most of my time come April time will be revising various maths topics - I'm dreading this! If you would be interested in posts written in both french and english, let me know as that is certainly something I would be interested in doing! If you are currently a A-level student or completed them in the past, how do/did you find them?